Product Details: Color	Black Type	Spiral Mounted	Flooring We are ranked on top by offering the best quality of Mild Steel Railing, which is known for its remarkable finish and quality. We “Hindustan Fabricators” are well-recognized organization involved as a Sole Proprietorship (Individual) based firm. The headquarter of our firm is situated at Hyderabad, Telangana. Since 2001 our firm is engaged in manufacturing of Rolling Shutter, Iron Gate and many more. These productmores are known for their optimum quality and remarkable finish. Moreover, these products are designed by our dexterous professionals. Also, we hold specialization in rendering Roof Structural Fabrication Service. 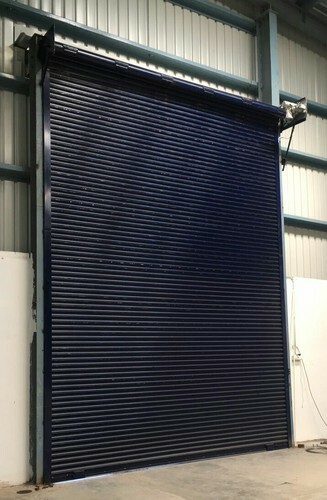 Product Details: Used In	Shops, Godown and Garage Type	Manual Open Style	Rolling Owing to the wide experience in this domain, we are instrumental in offering Iron Rolling Shutter to our clients. Built Type	Modular, Panel Build, Prefab Color	Metal paint Condition	New Feature	Easily Assembled Frame Finishing	Hot Galvanized Material	Steel Shape	Tunnel, Dome Technique	Hot Rolled Type of Industrial Sheds	Heavy, Light, Medium Use	House, Kiosk Owing to the rich industrial experience and expertise in this business, we are involved in providing Iron Prefabricated Plant Shelter.